What is the Best Beginner Scotch Whisky? 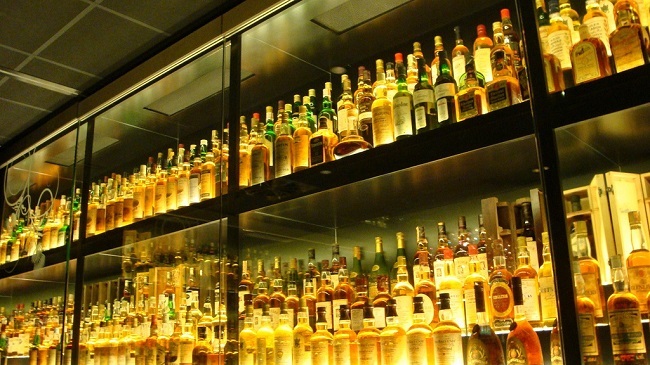 When it comes to premium liquors, Scotch whisky is one of the more expensive categories. That’s because Scotch whisky has to come from Scotland and is subject to a variety of duties and taxes as it enter the United States. It’s also aged, a minimum of three years, so when you combine the aging with the duties and taxes, it makes for a more expensive product. It’s hard to drop $35 on a bottle of Glenlivet and not be sure if you’ll like it. It’s more (financially) palatable to spend less than $20 on a bourbon (which is a whiskey made of corn, produced domestically, and no minimum aging period). Scotch whisky also has the most character and variety. Scotch whiskies have more variety in their manufacturing processes, are aged for more than three years so the aging process can have a greater effect, and you can have two Scotch whiskies that are widely divergent in their flavor profiles. Islays and Speysides anyone? Then throw in the fact that it’s 40%+ alcohol by volume and you can see that it gets to be quite intimidating for a new enthusiast. It doesn’t have to be though. I tapped our Facebook group, a bunch of seasoned pros, to find out what they think is the best beginner scotch whisky. If you’re new, you’ll see a lot of names in the list below but if you fire up Google you can find tasting notes for them. A lot of them are Speyside/Highland malts too, which I think is the best way to introduce someone to Scotch. Alright, onto what our group thinks! Me: My choice is Glenmorangie 10 (Original) because it’s inexpensive, fairly representative of a crisp and clean Speyside, and it was one of my first so I’m biased in that regard. I would’ve recommend Glenlivet 12, my actual first dram, but that spicy finish will confuse most beginners. They’ll probably be getting used to the alcohol and the bite of the finish might be too much. Patrick J.: Macallan 12 is my vote. Glenlivet is a great Scotch, but Macallan 12 is what I use to introduce friends to Scotch since it is always a crowd pleaser. Easy to drink, great flavor, approachable, nice mouth feel, just a lovely dram. I don’t have any experience with Buchanan’s that I can truly recall back to, other than I know I had a glass some years ago and never sought it out again. Daniel W: Jim, I agree with you 100% Glenmorangie 10 is a perfect dram for a beginner. The sweetness makes it very accessible. Percy S: The OP 12 may take the throne for me after further tasting, but at the moment I have to give it to Glengoyne 12. I feel it represents the basics of scotch whisky as I think of it best. Good value and readily available. Honorable mention to Highland Park 10, but it’s not widely available. I like it better than HP 12. Ari C: I actually would recommend Glengoyne 10. No peat and not to over powering on the sweet. For a beginners blend I would pick Monkey Shoulder. Mike W: Another good one is Aberlour 10yr. Bill M: For a beginners blend, I also like Dewars 12YO. Clayton F: I often buy Balvenie 12yr double wood for anyone starting out, not to aggressive but not boring either. Fiddich 12yr is a pretty good starter also, easy to find too. Oh so many starters!!! Gary W: For a beginner and in the price range you have mentioned, Dewars, Grants, Monkey shoulder, and Black bottle immediately come to mind. Not to much alcohol bite and really easy to drink. I think the lower aged “glens” are also a decent choice. All are low to no peats, smooth easy drinking, and really don’t challenge your palate. David C: All great suggestions so far! I would like to throw Glenfarclas 12 into the mix. It’s less than $50 a bottle and a great introduction to the sherry cask finish style of single malt. A little bit spicy with nice fruit on the palate, it’s got a nice, well-balanced sherry-forward flavor profile. Ray C: I shared a dram Saturday evening with several friends who were first time scotch drinkers. One had received as a gift a bottle of McClelland’s Lowland Single Malt so we tried it. I enjoyed it, but more importantly, they enjoyed it. Fairly mild but nice taste. We all are looking forward to the next time we have a chance to get together and share a dram! Rob G: Auchentoshan 12. Easy drinking, inexpensive, range of flavours. Brad L: I agree with Jim and some others. I always maintain a supply of (The Original) Glenmorangie. It’s a good “every day” whisky and is always well received by my guests who are not regular scotch drinkers. Ray C: I agree with you guys about the Glenmorangie Original. It was the first single malt I purchased for myself and always keep one on hand. On bottle #4 now. Good stuff! Randy H: Monkey Shoulder by far for a blend. I like Glenfiddich 15 for single since it’s not too expensive and easy to get. David H: Highland Park twelve for those wanting to start with a bit of peat. For an inexpensive whisky great for beginners and long standing malt maniacs. Wayne O: Hate to sound like a broken record, but Monkey Shoulder is a standout considering it’s very low price. Also love Glenmorangie original. João B: Whyte Mackay Special . Not expensive , smooth taste, floral and sweet nose . Aaron M: Will I be kicked out for suggesting a blend? Johnny Walker black is so easy to drink. That’s what got me hooked. Arthur B: My first was Johnnie Walker Red Label and I’m not sure what brought me to seek Scotch but once I had decided on doing it I was attracted to the Red due to cost and liked the aesthetics of the bottle. After Red I went Black for a small price increase. I will be seeking out next a Glenlivet 12 for my first foray into the single malts. Grant S: How about the glenrothes select inexpensive and very approachable. Michael D: Macallan 10 or 12. Bunnahabhain 12 is fantastic, no color, no chill filter. For the “Best Beginner” scotch, I probably have to vote the Glenmorangie 10, but so many great choices if you have a feel for the individual. Macallan 12 is my personal favorite, but I tend not to offer first. One not mentioned yet, but which I can find for a good price at Sam’s Club is the Dalwhinnie 15. It’s not much to taste, but super smooth, so maybe a great starter. I’ve been lucky enough to get my roommates into scotch. I’ve started them out with my peat heavy favorites such as Talisker and Lagavulin. However, the tipping points for them is when I picked up a bottle of Trader Joe’s Highland 12 year. I have no idea who the distiller is because TJ’s is pretty protective of their source. It’s good stuff, however, and has my newbie roommates buying bottles of the stuff on their own. Speaking of Trader Joe’s. Might I suggest the Lismore 15 that they have on their shelves. It’s more of a desert beverage, in my opinion. Noses of Caramel and has a smooth woody taste without the smoke. It’s nice with a small bowl of vanilla ice cream. Probably meaning not Peaty and maybe a port or sherry finish cask. The first time I decided to dribble some Fiddich 12 over a bowl of good Vanilla Bean ice cream, I thought I had discovered what they serve as dessert in Heaven. Then I Googled it and it’s a standard on a lot of gourmet food /dessert sites. One site recommended Glenmorangie 10, but Glenfiddich 12 is addictive also. Ooooooh, that’s a good idea. Glenmorangie 10yo or Highland Park 12yo are both fabulous choices for a beginner. Both are great values for single malt, are well balanced, and represent the two directions one can explore further. HP12 introduces peat without smoking a rookie out, and Glenmorangie brings a lighter, more delicate experience. I am brand new to scotch and I got some great recommendations. Glenmorangie 10yr old or Old Pulteney 12yr old to start. Highland Park 12yr old as a good all arounder with good intro to some light peat. Caol Ila 12yr old for an introduction to Islay. If you drink these in order it will give you a great foundation to single malts. IMO, the HP 12 is a superb beginner’s malt. A little over 5 years ago, I knew almost nothing about scotch. I was a beer drinker, but my bladder and loss of sleep rebelled against me in my old age…so I decided to switch to scotch. I came from a family of bourbon drinkers, but I am not super crazy about the taste of bourbon neat or on the rocks…and I had to reduce the liquid volume so making short highballs was not an option. I asked my adult kids to buy me a decent bottle of scotch for Christmas. They knew nothing about scotch either, but the little guy at the liquor store recommended Johnnie Walker Black, so I am in the same corner with Aaron M. I was more than pleased with this selection at the time, and I am still personally very nostalgic about this well thought of whisky brand. I have tried everything mentioned above and much, much more, and all are good choices for reasons mentioned. I would like to make one other point and that is for many beer, wine, and bourbon drinkers…shelling out even $30 for a bottle of scotch is a big deal for those used to buying a $7.00 six pack of beer or a bottle on wine. A decent scotch choice needs to be made from the get-go since it is darn expensive. For me, the internet has been a big help, but in spite of that, I have drank my share of clinker labels, but it’s all part of the learning and appreciation process. It would have been nice to have had a mentor when I first started this journey. Sorry that my reply is so wordy, Jim. I agree with Johnnie Walker Black, even though I personally started with Chivas Regal 12 yr. I also know Glenorangie 10 yr. would also be a very good start for a beginner. I had no idea what a ride i was in for in 1960 when a sailer buddy introduced me to scotch. I started out with Black& White blended and i thought i had found it. My first single malt was balvenie doublewood and then a 12yr Singleton and i think they are still good starter scotches. Since Scotch preferences are highly personal, I would first ask, or observe, what whiskeys they normally like to drink. If they lean toward Canadian or a mellow Bourbon, I would go with Glenlivet, Glenfiddich, Glenmorangie, or Macallan. Remember, we’re switching them from corn to barley based whisky, but we want to stay smooth and mellow. If on the other hand they prefer a bolder bourbon or a rye, I would probably up the ante flavor wise and go with a Highland Park, Talisker, or a Caol Ila. They’re used to a bit more flavor, and we don’t want to disappoint. Of course, the more Scotch drinkers we create, the greater the demand, and accordingly the higher the price for all of us. Harry, for what it’s worth, I agree with you completely. I do a lot of scotch tastings out of my house. I see a lot of people new to single malts in general. I use the process you describe almost to the ‘t’. If they aren’t drinking whisky at all, I will start with Macallan 12 since I put it dead center of the taste pallet. New to scotch myself. Started about two years ago in Charleston with a Glenmorangie sampler containing Original 10yo, Lasanta, Quinta Ruban and Nectar D’Or (VERY NICE). Since then I have added Balvenie Doublewood 12yo, Macallan 12yo, Highland Park 12yo, and just recently added Bunnahabhain 12yo. I would consider all these good beginners scotch and as others stated, Highland Park offers a good intro to smoke. Looking forward to trying Lagavulin. I consider myself a bit of a wine & spirits aficionado & like to keep a well stocked home bar. For a newcomer to Scotch I’d highly reccommend starting off w/a blended first & then give a few labels a try & then ease into the single malts. For blended I’d go w/Chivas Regal 12, Dewar’s White Label or Johnnie Walker Red or Black. My faves for single malts would be Glenlivet 12,Glenfiddich & Glenmorangie. To help decide, read reviews, read magazines & surf the Internet. Personally i enjoy single malts cask strength at the most. The Macallan Cask Strength, Aberlour a’bunadh, Laphroaig – Cask Strength, Ardbeg Uigeadail. If you you want to try something diferent to knock your socks out … try balcones Brimstone … one can only stand back and applaud. I’d rather teach my friends what whisky is and how to enjoy it. You let them decide what they like. I suspect I represent a minority, but that is why I decided to respond. I’ve started on blends like Bells, J&B and J Walker. I did not love it. After fumbling around, my favourite ended up to be Jameson. The closest thing I experienced to a peaty whisky was J Walker Black. I did not particularly like it. A few months ago a friend introduced me to Caol Ila. The first sip shocked me, by the third I was hooked. My problem with JW Black was not the peat – it was the LACK of it. I’m now a self confessed peat-head. The nuances of other whiskies are mostly lost on me – I crave the big peaty smack coupled with the sweetness delivered by the likes of Laphroaig Quarter Cask, Caol Ila and Ardbeg. To summarise – I suspect one has a specific taste that attracts you. “Easing into” scotch in my mind does not mean offering someone a “non-offensive” or “easy” scotch. It is helping them find what they like – thus exposing them to as wide a range as possible. Ahhh that’s actually a good point, when it’s only a hint of peat and you aren’t looking for it then you might mistake it for being an off flavor. I never thought about it like that, great point Tiaan. That’s great, but isn’t Jameson Irish and not Scotch? As far as peat taste, what is the best single (or even blend) to try? I have to agree also. I did not particularly like Scotch until a took a small sip of Talisker Storm from our priest. The different flavors, the salt and peat and fruit, blew my mind. Then I went on a mission to find the cheapest, tastiest Scotch I could find. I find I also prefer a peaty Scotch. Alas, you can tell a cheap Scotch from a better one. I still like Talisker Storm and recently found it discounted for $40 a bottle and bought a case. Should have bought two. But my go to favorite for the price is Laphroig 10 yr.
No preference, like them all. I started with J Walker Red, Cutty Sark and Chivas Regal while I was in college. Some really great selections. I prefer peaty scotch, but Glenmorangie is an excellent suggestion. I think if I were introducing someone to scotch, I might be tempted to do a side by side comparison with them. Start with Glenmorangie, then a Highland Park, then a JW Black (largely to highlight the comparative pleasures of HP, though I really like Black too) and finally, feeling a bit generous, a small dram of JW Blue which I think is a really outstanding blend, monster marketing (and price) aside. Although maybe I’d do the Blue before delving into the smokier HP and JWB. Have to think about that one. I’d go with Glenkinchie as a starter. It’s easy to find as Tesco and Asda sell it. It’s easy drinking. I am a beginner scotch drinker at 60+ years young. I read all your comments and other posts elsewhere and I bought a bottle of Glenmorangie 10 Original and a Balvenie 12yr double wood. I like the Balvenie better. One of my associates also gave me a flask of a Japanese single malt which was unbelievably good. I asked for the name and expect an email shortly. For my next bottles, I will get a Highland Park 10 that I have spotted locally and either a MacCallan 12 or a Lagavulin. My late uncle loved his Gledfiddich which I tasted. As other have noted here, many of us had many a bout with Johnny Walker, Chivas Regal, St. Leger and Cutty Sark as curious young guys but none of these seem as highly recommended as the single malts mentioned by every one above. I did have a wee dram of Royal Salute given to a friend as a birthday present years ago. Och aye! A lot of really good suggestions above. I commonly start people off with the Dalwhinnie 15yo and Auchentoshan 12yo at my house, but many of the other choices above are good as well (especially the Balvenie, Highland Park, and Glenmorangie ones). I have to be honest: I just bought my first bottle of Scotch, a Lagavulin 16, because of the Nick Offerman ad. I looked up a review after seeing the video and fell in love with the description. I’m currently working on my first dram and I’m definitely hooked. It reminds me of growing up in the country in the American South, bonfires and dirt. I’ve always been a Bourbon drinker – but this is a game changer. I can’t believe it has taken me 34 years to discover. Lagavulin is pretty awesome, I’m a big fan of it myself. If you’ve been a big bourbon fan, Islay malts will introduce a whole new world of flavors to you. One of the sneaky pleasures in life is sniffing the glass the next day, no joke it’s like what camp fires smell like in the morning. Definitely an AWESOME scotch! Has been my love for many years now. Here’s a definite vote against GlenMorangie 10. This almost turned me off to scotch. It’s so light it’s almost watered down. It really depends on the person, if you’re already into hard stuff, think about what you like (e.g. sweet and malty yet refined like Auchenotoshan Three Wood, or spicy and more harsh but with more notes like Adberg uigeadail) Then research an entry level that you think fits your style. McCallan 12 and Glen Livet 12 are what I would call your basic scotch, not too complex but still nice with a bit of spice, not too sweet. I came from Cognac so I prefer sweeter scotch. My vote is for Auchentoshan THREE WOOD if you like dark liquor on the sweeter side with just enough bite, yet refined with many complex flavors for a quote “lighter scotch” which it’s really not light when compared with GlenMorangie 10 for instance. But not like an Islay. Auchentoshan Three Wood is fantastic, definitely on the sweeter side, you might want to try Aberlour Abunadh. It’s a sherry bomb, high in ABV, and enough heat to keep you warm! I’ve been a LONG time love of Lagavulin. Tou must let it breathe though, about a month, may seem a bit much but makes all the difference. I’ve had Johnny Walker Blue Label, and a few other high priced scotch, but this is by far the BEST scotch. The price is right and the taste is GREAT. I didn’t officially start with Lagavulin, but it’s the scotch where I acquired my taste and would’ve started if I could do it over again. Still going to give Glenfiddich and Macallan a go, but the above has proven to be a good starting point for me. My first scotch was the macallen 12, but I usually recommend glenfiddich 12 to my customers who are just starting out with single malts. Easy to find and not too expensive. BevMo also sells scotch minis which can be good for beginners. The macallen 12 mini even comes in a tiny box, which is super cool. My first proper Scotch experience was Ardbeg 10. A friend recommended it to me. The insane smoke followed by that complex, evolving finish blew my mind. I was astonished, instantly converted. I’ve since read that recommending a peat bomb for someone’s first time is foolished, but I disagree; If they are a person who loves intense flavours, they will understand. I started with Johnnie Walker Red then Black which was a step up. Macallan 12 was a game changer for me then tried Glenlivet 12 and Glenfiddich 12 which I liked better. Highland Park 12 was my first smokey scotch which was hard to get used to at first but quickly grew on me. Glenmorangie 12 became my new favorite now I’m trying Laphroaig 12 but I think I like the Glenmorangie better. I started off with a Whisky starter kit, it included one whisky of each region and I clearly noticed that i HATED any form of nut aroma. This kit also included a 30yo McDuff, bottled in 2010 and ever since then I am at a loss at which whisky to buy, since nothing comes even close to that without, well, spending a lot of money. I usually buy Glen Grant or Singleton, due to budget, rarely a Glenmorangie – I only like either Speyside or Highlands. So I’d say, from what I tasted so far, if you want to drink something that’s similar, but not quite there yet, to an older scotch with fruity notes, rather sweet as well, go for GlenGrant, really smooth or for the already often mentioned Glenmorangie. Very undeveloped palette here, but…Glenmoragie (the Original) is certainly a very good starter and I prefer it over Macallan 12. I introduced a couple of friends to single malts with Old Pulteney 12 and Spinnaker 12. It wasn’t even close for those guys in preferring the Spinnaker. Don’t know much about it, but it is very pleasant. I have hated scotch for years. I was always told “it’s an acquired taste”. I recently had guests over, and the only bottle of scotch that I had was a gift from 6 years ago. Haig Dimple (Pinch). We cracked it open and my scotch drinker friend pronounced it good scotch, so I tried it. I absolutely LOVE it. I believe that I can now appreciate scotch, and would love to know what the consensus is on Dimple, and what a good follow on to it would be. Dalwhinnie 15 is a good choice, but Glenlivet 12, ooh Lah La! I prefer Teachers for the blend or Dewars White Label. I started with Dewars initially and progressed thru single malts landing in Islay….. and falling in love with Lagavulin. J&B: Also smokey, but more boozey, very slight tequilla note. Least favorite. Evan Williams: More Vanilla-ry, light. Has a bite. Crisp. GlenMorangie: Smooth, peaty, a very little “citrus cream” vanilla caramel. Nice, second fav. GlenLivet: SMOOTH! Smoothest by far. Slightly musky, very slightly peaty/smoky. Scent is more reminiscent of caramel. Preferred. Would bathe in 🙂 Preferably with a good cigar. I have been drinking Scotch for a long time but somehow I “missed the boat” about the fact that there are so many kinds, flavors and complexities until recently. I have had J&B which I don’t care for, Glenlivet 12 which I also didn’t like, Johnnie Walker Black, which I like and Glennfiddich 15 which I loved. I also bought some Lost Distillery Towiemore that was recommended to me buy my local guy at the liquor store near me. I didn’t care for it as it had so much burn I couldn’t taste the rest of the flavors. I know I still have an undereducated palate and have a lot to learn about the whole tasting world of Scotch. I just don’t appreciate the “big burn.” I appreciate all the comments here. It gives me some choices to consider. I just wish there was a place to taste many without buying many bottles, more like the micro breweries and wineries with flights to try. I have been drinking Scotch for a long time but somehow I “missed the boat” about the fact that there are so many kinds, flavors and complexities until recently. I have had J&B which I don’t care for, Glenlivet 12 which I also didn’t like, Johnnie Walker Black, which I like and Glennfiddich 15 which I loved. I also bought some Lost Distillery Towiemore that was recommended to me buy my local guy at the liquor store near me. I didn’t care for it as it had so much burn I couldn’t taste the rest of the flavors. I know I still have an under-educated palate and have a lot to learn about the whole tasting world of Scotch. I just don’t appreciate the “big burn.” I appreciate all the comments here. It gives me some choices to consider. I just wish there was a place to taste many without buying many bottles, more like the micro breweries and wineries with flights to try. Between Johnny Red, Arran, Glenlivet 12, Glenfiddich 12, and Dewar’s, which would you recommend to beginners? 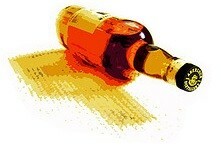 Hi Jim , I have been a blend whiskey drinker for many years but only with mixers. However I went to a 80th birthday party over Christmas and was given a single malt whiskey from a gift bottle of “Duncan Taylor Glenmorangie 26 year old” and wow how smooth was this. I thought I am hooked and what single malt whiskey from now on but I nearly had a heart attack when I went on line and seen the price. I am probably asking a silly question , but just wondered if you could recommend some similar single malts that are this smooth and you don’t get a peaty flavour ?. Hahaha a common trap! So Duncan Taylor is an independent bottler, Glenmorangie is the distiller. They had some 26 around, not enough to bottle themselves, but enough a merchant would be willing to do it so there you go. It’s also hard to find since it’s a limited run. I would look at Speyside whiskies, they tend to have no peat/iodine flavor (that’s more of an Islay thing). I’d also recommend our Facebook group if you’re into Facebook – https://www.facebook.com/groups/scotchaddict/ – a ton of discussion there. Not true. Bourbon must be aged 2 years. Not very long. But there is a minimum unlike stated in this article.